Looking to bring in greater revenue share for your business? If your answer is a yes, you’ll want to keep reading. I constantly come across companies that look for groundbreaking, out-of the box marketing strategies to win over customers. Mostly, large and established brands rely on television while some companies feel that print gives them a wider reach. However, with increased penetration and presence of relevant target groups, B2B companies of all sizes are experiencing a great deal of success on social media platforms, especially LinkedIn. There are close to 200 million business professionals active on LinkedIn Influence and that means potential business opportunities! LinkedIn can also be an excellent tool to direct and qualify leads to build sales pipelines. In order to have a great company page, start by building a great personal profile. To create a company page, your profile strength should be either Intermediate or All Star. Strength will increase as you add more content. Hubspot research shows that profiles that are complete and have a profile picture have more connections as compared to those which are incomplete because people assume incomplete profiles to be inactive. To boost success on LinkedIn, it is important to connect with people relevant to your business. Map multiple connects in a targeted organization and engage in meaningful communication. For instance, if you are head of sales for an IT product company, then you can connect with CIOs, IT heads, and other decision-making and influential individuals; you can connect with the people who are relevant to your business. Connect in with relevant business contacts! Start a conversation with an introduction that expresses interest in a person’s role within a business. You should also provide initial details about yourself and your organization. Meaningful conversations usually lead to a mutual opportunity for both partners to take the conversation further, leading to telephone calls and/or meetings. Find the groups that people in your network are members of and invite them into your hosted groups. The power of association helps build a network that is relevant and influential. It helps to join groups that talk directly about your industry and industry-specific professionals. This will give you visibility within your domain. A company page is a great way to create an online presence within your LinkedIn network. 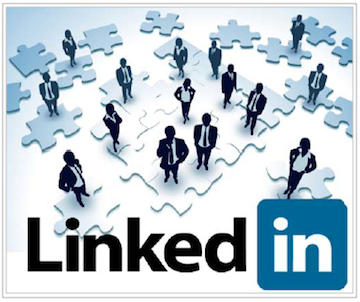 With a good number of connections, it is the right time to create your Company Page on LinkedIn (interests, click on companies). A good company page will reference the company products and/or services it offers, your value propositions, how you differentiate yourself from the competition, and how you help your customers. It is easy to start a profile or company page on LinkedIn, but in order to see consistency, you need to have a plan and a content repository to ensure that you optimize results from LinkedIn without wasting time. A good practice is to build a calendar and to pre-decide the posts at least a month in advance. You can also use tools like Hootsuite or Hubspot to pre-schedule posts to LinkedIn. The content could be original content that you create, or content that you curate from third party sites. The content can be about the products and services that your company offers. Some interesting facts, videos, interviews etc. could also be posted on Linkedin to engage your connections. We hope this post helps you understand how to leverage LinkedIn for your company and to rope in new business. Feel free to let us know what you think by leaving your comments below!